We had elevenses in Annan at the Cafe Royal where size obviously matters – see below. 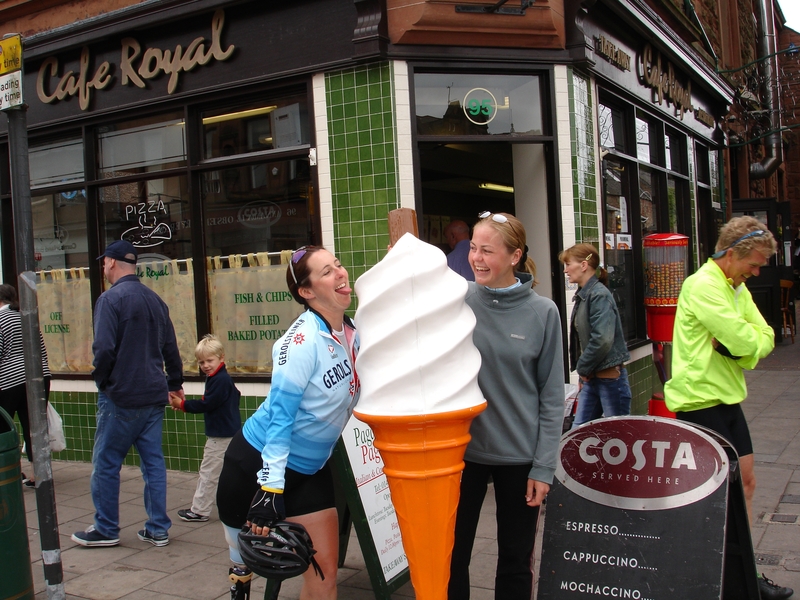 Jenny (to the right of the flake), an OT from Southport, joined us today and will be riding with us until Monday. Later we stopped at the most amazing cafe, the Green Tea House in an odd little village called Moniaive. The BFG must eat there because the portions are phenomenally large. After tea and CAKES we rode the last 10 miles through God’s Country to the Youth Hostel (wo)manned by Sam, the friendliest of lasses, and refuelled with Nathan’s pasta. Psychologically, crossing the border into Scotland felt like we were almost there, but it was only day 11 and we still had 10 days to do – just over halfway timewise! 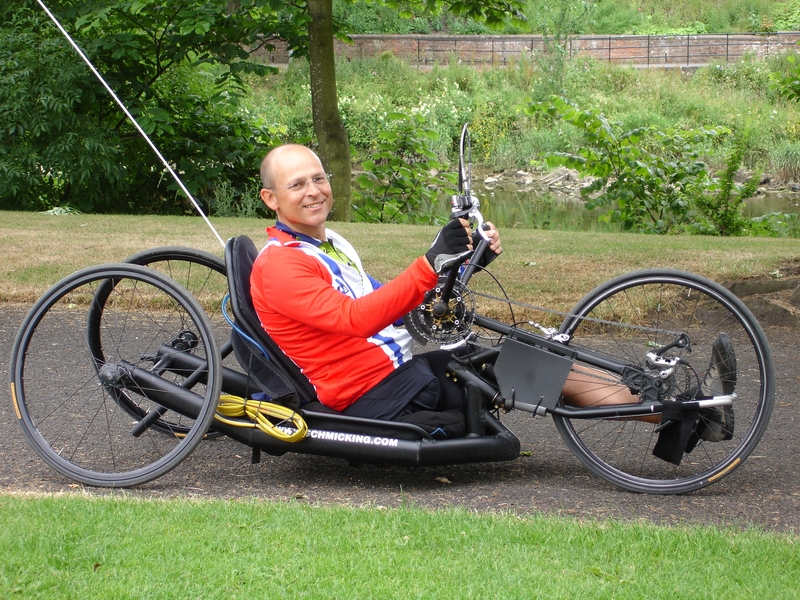 Before that sank in, I got to have a bit of fun on Dave’s Stealthcycle in a park in Dumfries – I look a bit puny in it to be honest!